So much yarn, so little time. : Moving in day! Very excited to be moving into our new home today! Yesterday we walked for hours in our new area, along the canal to the next town, Winchelsea, and then back along the beach. 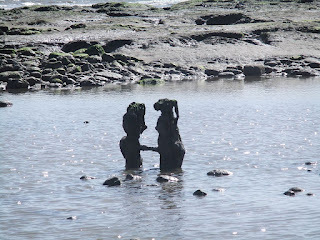 Took loads of photos but haven't got them on the computer yet - just this one which amused me somewhat - you might have seen it on facebook yesterday, but if not...I see a female figure on the left and a rabbit on the right. Wonder what they're talking about? 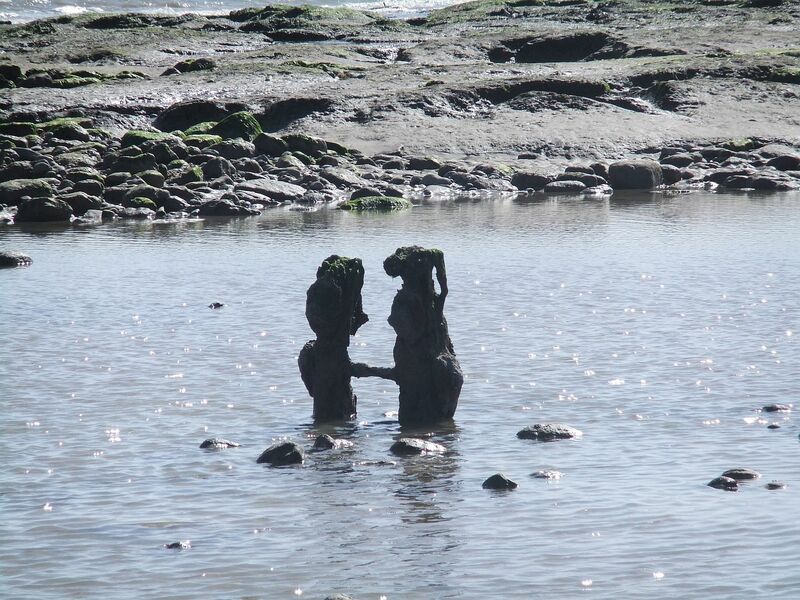 It's actually a pair of very weathered sea-defence groynes. Good luck with the moving in - I hope it's not *too* long before you're organised!